Even though Summer is my favorite season, there’s something about Fall shopping that gets me so excited. It started when I was younger, with back-to-school shopping. Remember the excitement in picking out new back-to-school clothes, shoes and accessories? My grandmom used to take me shopping every Fall (and Spring) and buy me a bunch of new stuff to wear. Even though school shopping is long over for me, every Fall I still get that desire to buy new stuff. Back-to-work shopping, is what I call it! Aside from the haul of new clothes, shoes, and handbags, I tend to pick up a new watch every Fall, too. 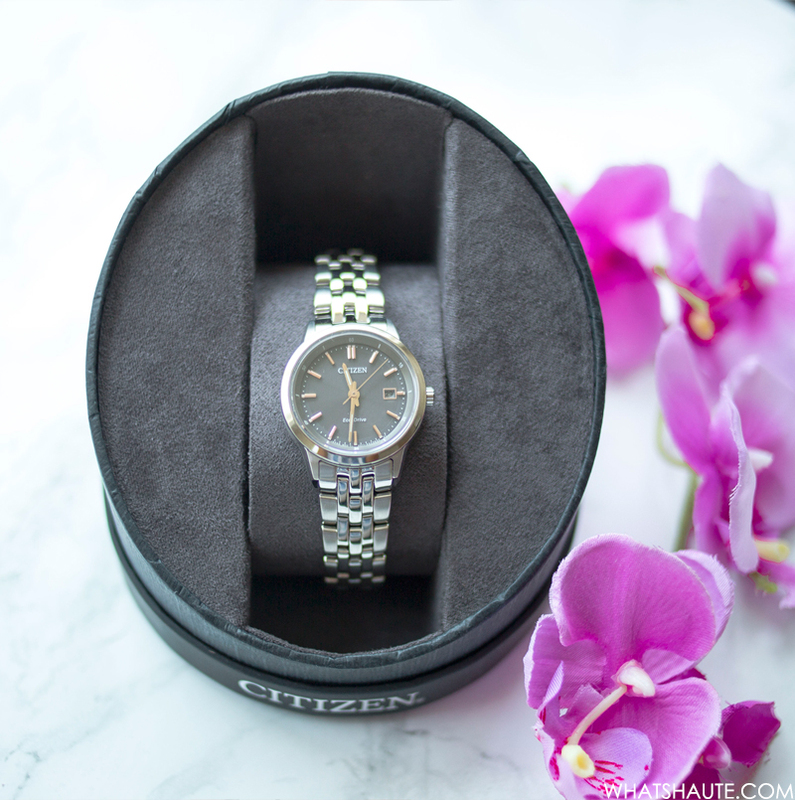 Citizen is one of my favorite watch brands, thanks to their Eco-Drive technology, which makes it so that you never need to replace your watch’s battery. I love this because it gets really expensive when you own a slew of watches, like I do. 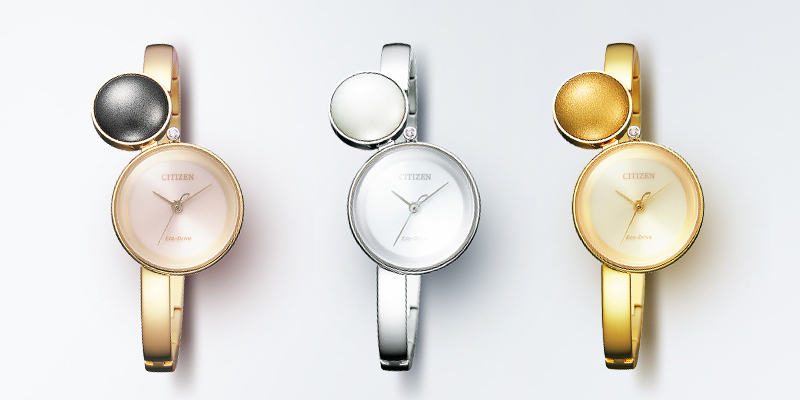 Citizen watches are powered from virtually any light source, so you just let the watch sit in the sunlight to recharge! 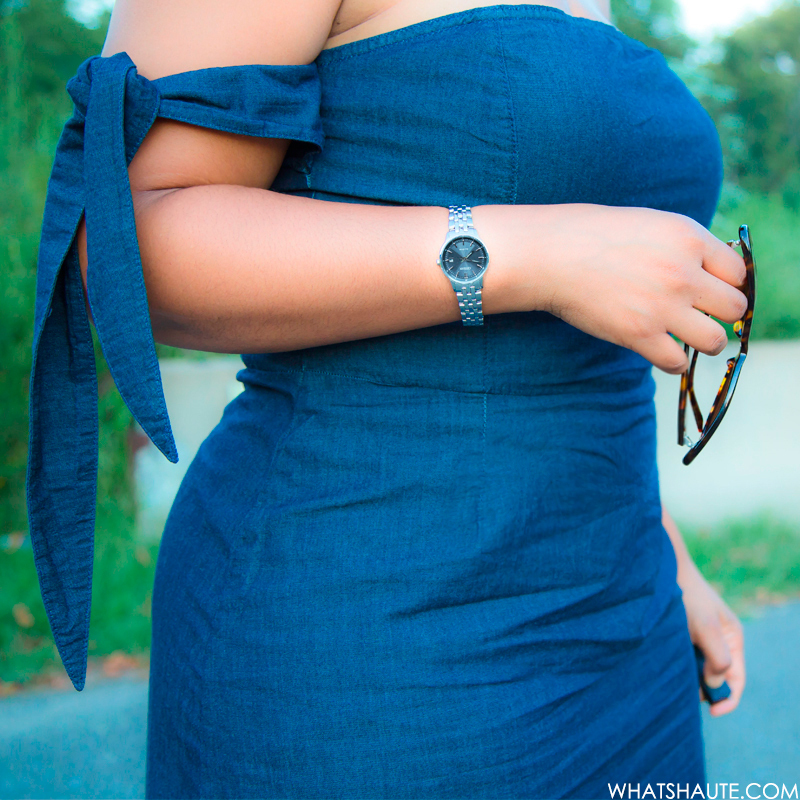 I received the Citizen Sapphire Ladies Watch (style EW2400-58H) for review, and it’s a perfect pick for Fall. It’s a lightweight stainless steel watch with a charcoal grey dial, rose gold-tone accents, sapphire crystal and date. The colors and style make it easy to pair with anything in my Fall wardrobe. It also comes in a men’s version, featuring a slightly wider dial and band. 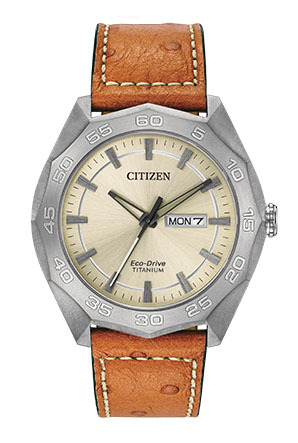 Pick yours up online for $295 at CitizenWatch.com. You can also buy it at Macy’s, Discount Watch Store, JCPenney.com and Amazon.com. This beautiful bangle-style watch features a gradated moon-glazed sapphire glass face, an ‘Urushi drop’ at 11 o’clock (a modern take on traditional Japanese gold lacquerware), an a single diamond between the two. This sophisticated watch features a sleek, rose gold, stainless steel chain link bracelet, and an elegant white soleil dial. Made from a single piece of titanium, this watch is 40% lighter than stainless steel and 5x harder, so it’s resistant to scratches. It features a Super Titanium™ case, tan ostrich patterned strap with white contrast stitching and a light, champagne-colored dial with day/date. It’s also water resistant up to 100 meters. 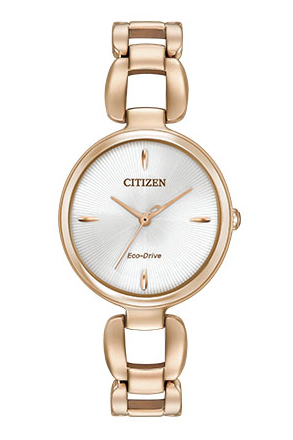 Pick it up at CitizenWatch.com, JCPenney, Macy’s and Amazon.com.